At the age of 27, Joseph wrote his autobiography Buried Thoughts, a compilation of his several blogs. At the age of 27, Joseph wrote his autobiography Buried Thoughts, a compilation of his several blogs. It is dedicated to his first love, family and a friend. A voracious reader, Joseph imbibes his positivity from the books he has read. He says The Kite Runner by Khaled Hosseini is a book that inspired him a lot. 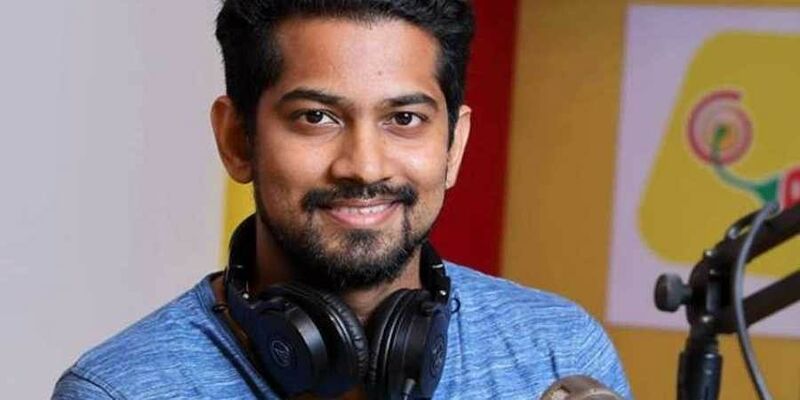 After his videos went viral, he was called by Radio Mirchi to host the show Straight from the Heart which was earlier presented only by celebrities. Joseph stepped into acting with his short film Oru Kumbasara Rahasyam, directed by John Pius, which was released last year.Jis Joy had earlier told Express that Vijay Superum Pournamiyum will be a “small, message-driven film with elements suitable for a family audience”. “I never expected to act in a film and I was not a passionate cinema dreamer. When I was a kid, like any ordinary person, I too wished to see myself in a film but I have not taken any effort for it. It was Jis who cast me, after seeing my videos. I’ll be appearing throughout the film. Being one among the trio, I felt so comfortable working with Asif Ali and Balu Varghese. The acting was not tedious as we shared a good chemistry,” says Joseph. Today, Joseph is busy scheduling dates to take motivational classes for students in schools and colleges. Joseph says he will think about doing more films once he has seen everyone’s response to his performance in the film.